Hello Whole Flight simulator lovers! 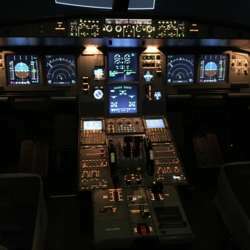 By the way, would you like to operate the flight simulator? I will happy to organize the real Airbus A320 flight simulator demonstration. This facility is used for commercial pilot trainees by their self-training as well. Please note, this is the paid event, and I would like to ask whole sign-up members should pay the admission fee by advanced. I will inform payment method later. Let's enjoy the flight simulator demonstration together!